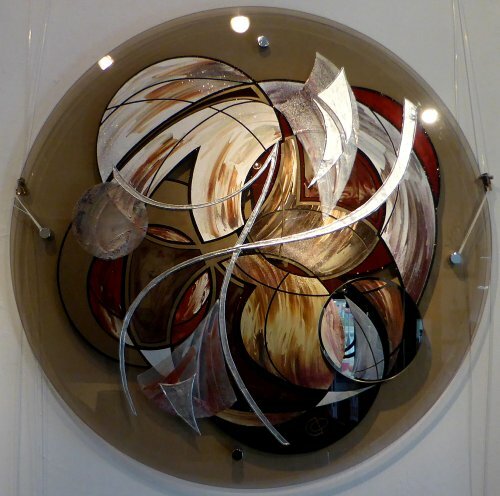 An original painting on a bronze transparent glass. The glass panel has a bevelled edge all around and fixed to the wall with 4 chrome stand off fittings allowing 1" gap between the glass and the wall for extra shadows and depth. The panel is painted on both sides with various layers to create a three dimensional look and interest through out.